Our roots are grounded in the wealth management industry. Through the years we have gained invaluable insights and in-depth expertise regarding the needs of a wide range of financial services firms. Croesus has leveraged that knowledge to build solutions to meet the demands of an ever-expanding network of clients. Whether you are a full-service broker or a portfolio manager, Croesus provides a solution that is adapted to your business reality. From portfolio management to data analytics, our technology solutions are designed to provide advisors with easy-to-use tools to meet today’s growing challenges. 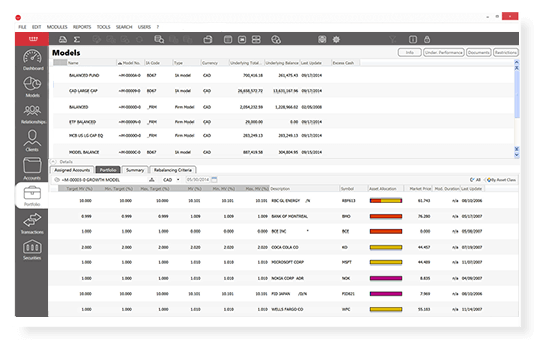 Using an intuitive interface, full-service brokerage firms can perform complex rebalancing calculations and create customized reporting packages. The groundbreaking big data tool, Croesus Data Analytics, allows advisors to manipulate data to pinpoint opportunities for growth and identify business risk. Firms can also use Croesus APIs to securely integrate financial and non-financial data into client or advisor applications. 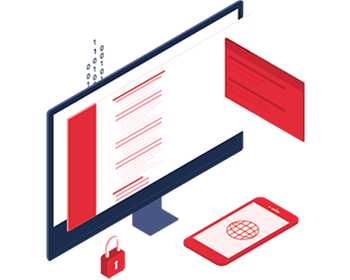 Security, data integrity, and simplicity are the defining features of all our fintech solutions. Designed for the most demanding clients, Croesus Advisor provides asset management firms access to a powerful built-in CRM, advanced modeling, and highly customized reporting. Using a dynamic and highly visual interface, Croesus Data Analytics allows firms to manage large volumes of historical data to build strategies based on business intelligence. If data integration is your priority, Croesus APIs provide the building blocks to seamlessly incorporate data into applications. 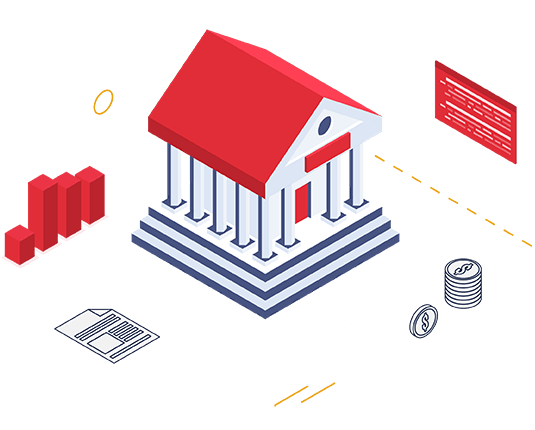 Discover how online brokerage firms can leverage financial data with Croesus. 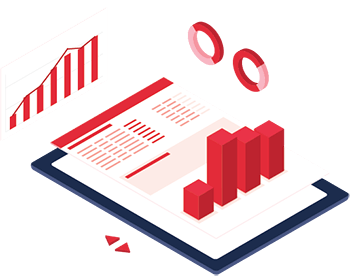 Croesus Data Analytics allows firms to take advantage of historical data to develop unique insights into revenue and risk mitigation strategies. More than ever, technology integration plays a key role in providing leading online solutions. 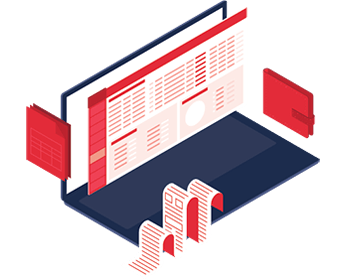 Croesus APIs facilitate integration by providing firms the flexibility to seamlessly integrate account and performance-level data. Firms can take integration one step further with data visualization and streamlined tables. Access performance and precision in one sophisticated portfolio management solution. 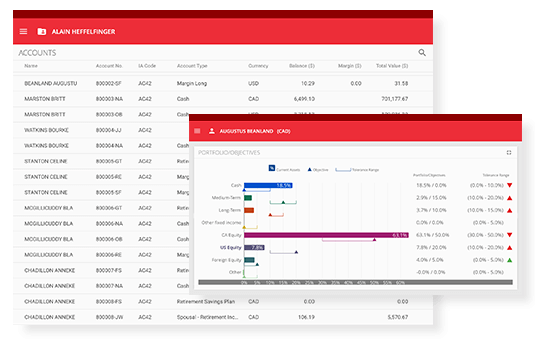 The easy-to-use interface allows portfolio managers to efficiently produce made-to-measure reporting packages, facilitate risk management as well as compliance, and provide complex performance calculations on the fly. Firms can then leverage account and client data to identify opportunities and recognize risks using the innovative big data tool, Croesus Data Analytics. Portfolio management firms seeking customization can integrate financial and non-financial data into applications using Croesus APIs. 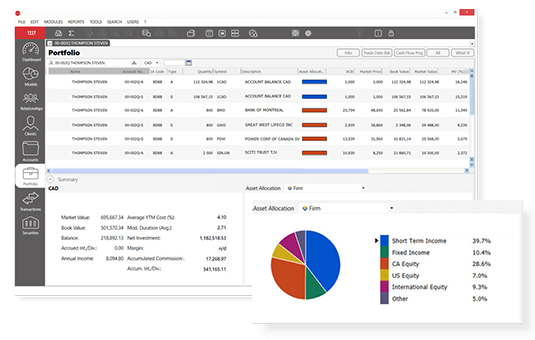 Intuitive and multidimensional, Croesus Advisor facilitates all-in-one portfolio management for mutual fund firms by providing tailored reporting, integrated CRM features as well as accurate performance calculations. Firms looking to leverage large volumes of historical data can use Croesus Data Analytics, an indispensable tool that provides insights for fact-based decision-making. Firms can achieve even greater flexibility with unmatched security using Croesus APIs.